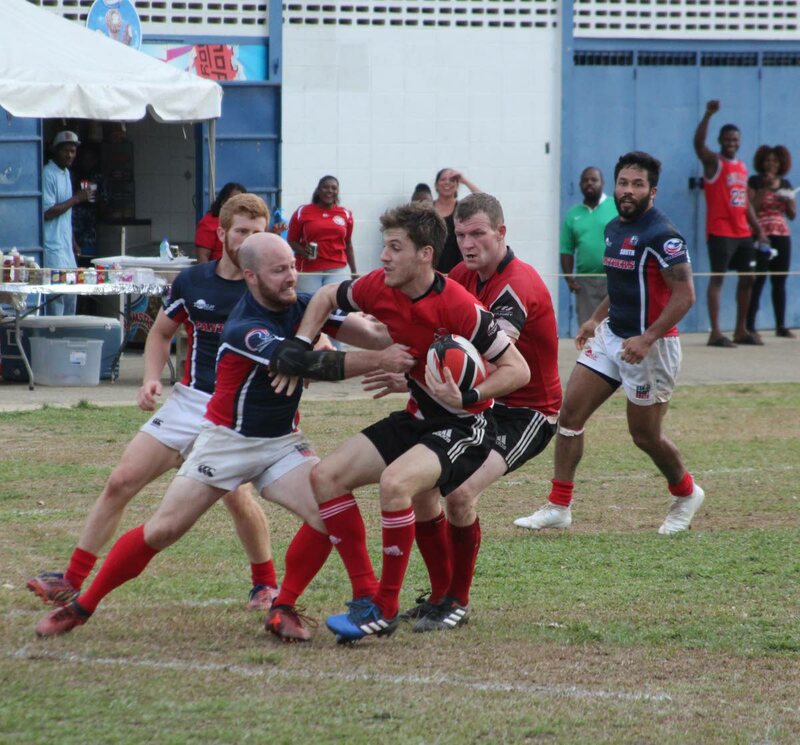 COLIN Peters, president of the TT Rugby Federation Union, has confirmed that governing body Rugby Americas North (RAN) is threatening to take away the points that TT have earned in the ongoing RAN 15s Men’s Tournament. TT have won both of their matches in the championship division, after two strong second half performances. The local ruggermen defeated Bermuda 27-24 at St Anthony’s College Ground last month, before getting past USA South 34-33 at St Mary’s College Ground on Saturday. TT are on course to win the title but the national team is unable to travel to Cayman Islands to play that country on Saturday due to lack of funding. The Sport Company had previously informed the TTRFU that they were unable to assist. RAN has informed the TTRFU they may strip TT of their points if they are unable to play that match. TT are hoping to postpone the match until July 14 or July 21, as discussions continue with the Government over funding. The local rugby federation has applied for $208,000. Peters said the TTRFU had a fruitful meeting with the Minister of Sport and Youth Affairs Shamfa Cudjoe yesterday and other local sport officials. “The talks were very, very positive. The minister said she understood the kind of effort that went into the preparation of the team and that they are hoping to be able to release some funds by weekend,” Peters said. The local rugby boss said it is sad that TT may not be able to complete the tournament after such a great showing in the tournament so far. “It is a great disappointment to me because the guys beat Bermuda and USA South. That is the kind of grit and pride that we want to see. If a team is able to do that, then we want to give them every chance to complete the tournament,” he declared. Manager of the TT team Ronald Annandsingh, is hopeful RAN can show leniency to the national team. “I am just hoping that the proposal sent into RAN is adequate enough that we can play the game against the Cayman Islands. I am just hoping for the best,” Annandsingh said. Peters said players will probably have to use personal funds to help make the trip to Cayman Islands possible. Reply to "TT rugby men fight governing body"